1. A high-low top you can rock both during the day and into the night. Get it from Amazon for $8+ (available in 13 colors, sizes S-XL). 2. An embroidered knit top that feels ultra soft and looks ultra adorable. Get it from Nordstrom for $59.50 (sizes 1X-3X). 3. A satin top designed to make you feel like the rock star we know you are. 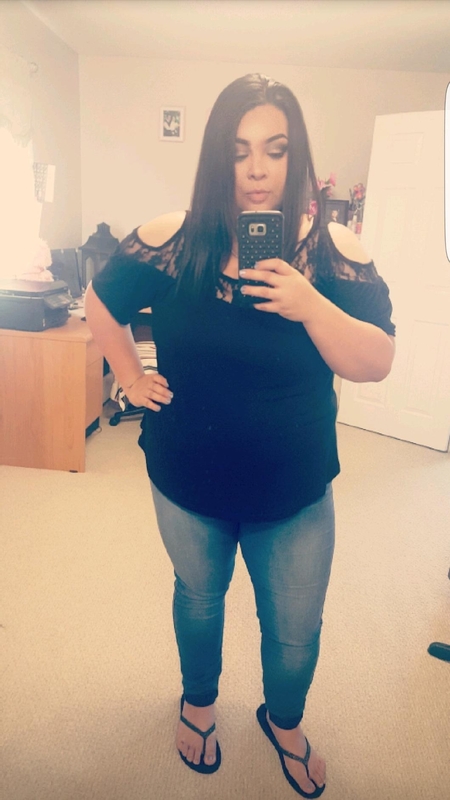 Get it from Forever 21 for $19.90 (sizes XL-3X). 4. A darling look that's a twist on a classic plaid shirt. Get it from Asos for $18 (sizes 0-8). 5. A three quarter-length shirt (ideal to wear year-round). Get it from Amazon for $9.99+ (available in 12 colors, sizes XS-3XL). 6. A laid-back look is exactly what this cold-shoulder crop aims for. Get it from Urban Outfitters for $19.99 (available in three colors, sizes XS-L). 7. 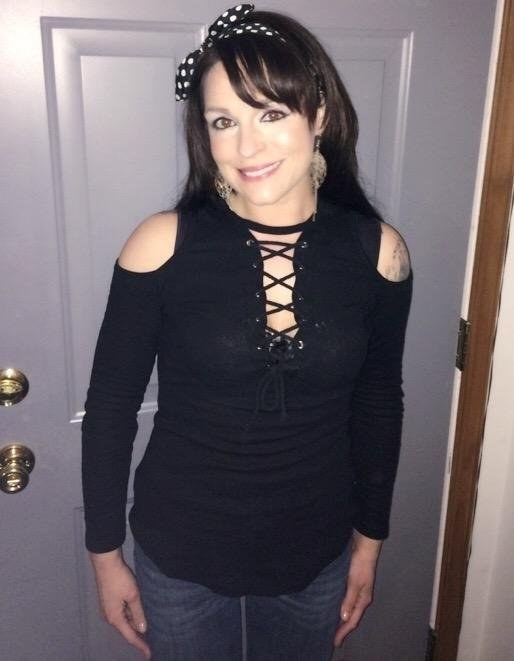 A simple top with a little bit of lace makes for a shirt that's ideal to wear just about any time you want. 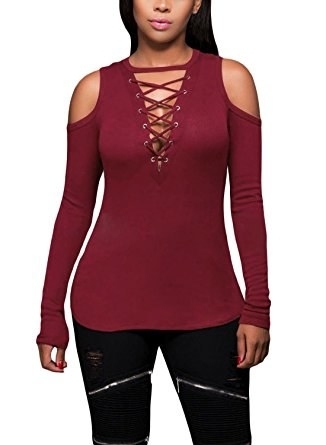 Get it from Amazon for $14.99 (available in six colors, sizes 1X-5X). 8. A printed cold-shoulder top is something you definitely can't go wrong with, and is bound to make you hear lots and lots of compliments. Get it from Target for $27.98 (sizes S-XL). 9. A shirt combining the flirtiness of a cold shoulder with the coolness of a graphic tee. Get it from Forever 21 for $17.90 (sizes S-L). 10. 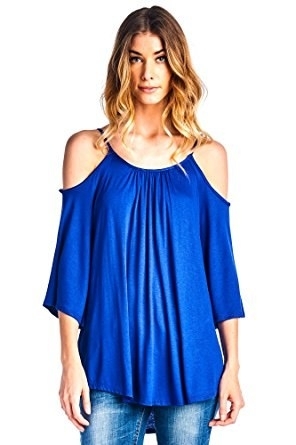 A silky smooth shoulder-bearing top that soon-to-be mommies will feel extra fabulous wearing. Get it from Asos for $15.50 (sizes 2-16). 11. A shirt using a whole lotta current fashion trends — ripped denim, floral embroidery, and of course, the cold shoulder. 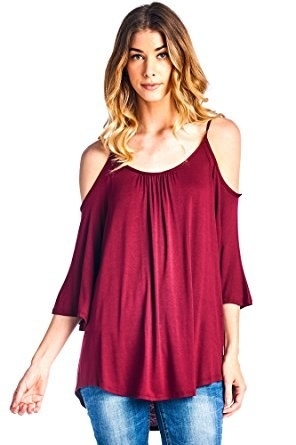 Get it from Forever 21 for $24.90 (sizes S-L). 12. 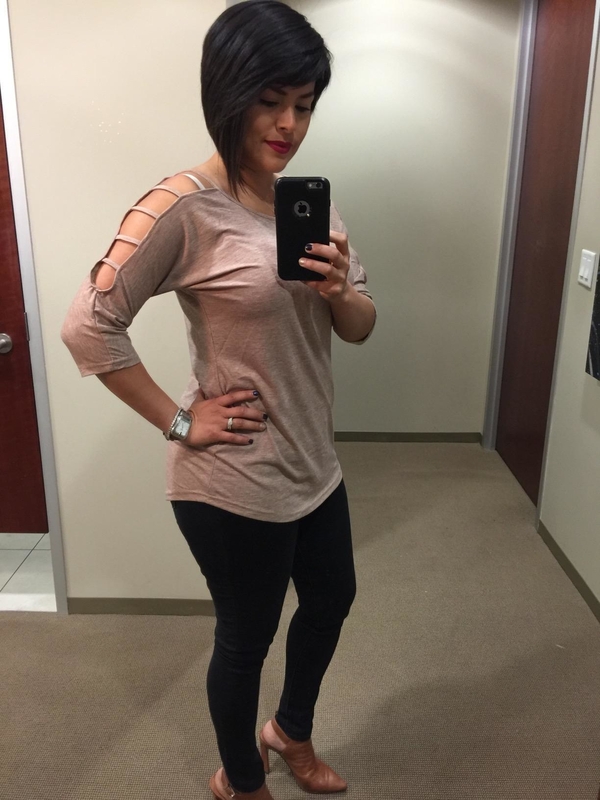 A lace-up ribbed blouse is perfect for a night out on the town with your squad. Get it from Amazon for $12.32+ (available in 13 colors, sizes S-2XL). 13. A ruffled V-neck perfect for a daytime outing. Perhaps your next Sunday brunch top? Get it from Forever 21 for $19.90 (sizes S-L). 14. A floral top that will make you feel fresh as a daisy, even though that's not one of the flowers on this shirt. Get it from Target for $24.99 (sizes XL-4XL). 15. 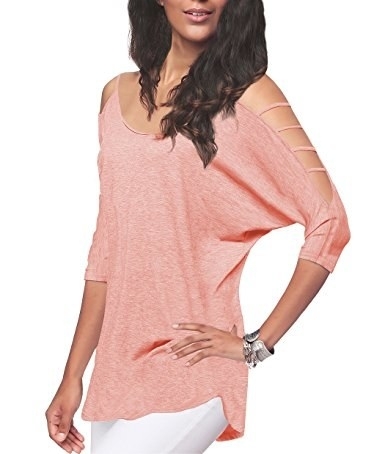 A twist-front T-shirt gives a nice, relaxed look, while the cold shoulder adds in some fun. Get it from Nordstrom for $29 (available in three colors, sizes 2XS-XL). 16. A simply, flowy cold-shoulder look. You can't go wrong with something like this. 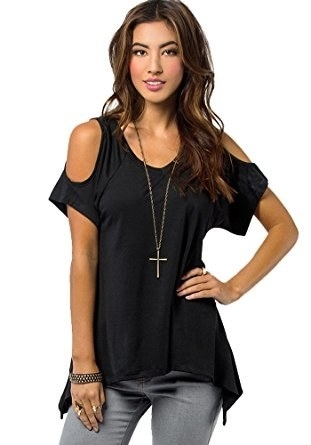 Get it from Amazon for $9.90+ (available in 33 colors, sizes XS-3XL). 17. A mix-and-match stripe top will turn heads in the best way possible. Get it from Asos for $51 (sizes 0-14). 18. A striped piece you'll want to wear every day, and you can, but you can also switch off between some of the other shirts in this post. Get it from Forever 21 for $12.90 (sizes S-L).